He looks like he's been up all night - but this trumpeter has a job to do. His boss Heraclitus is taking on the Persian King, to get back the stolen wood of Christ's cross. 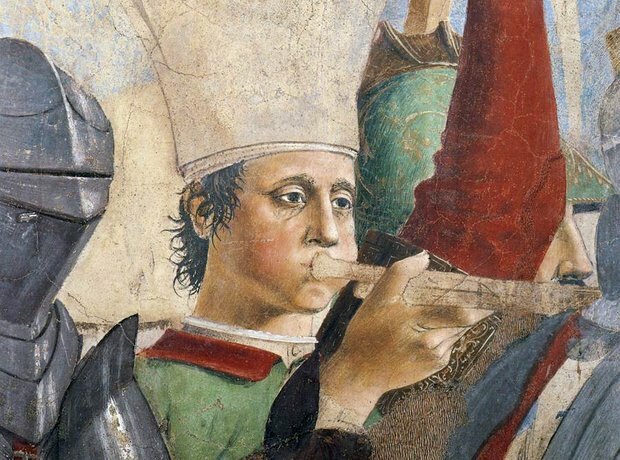 Renaissance giant Piero della Francesca (1415-1492) captured this brave brass player in action.